Nigeria’s Wizkid is fast becoming the biggest artiste from African as he just made history in the Uk by performing in a sold out concert. 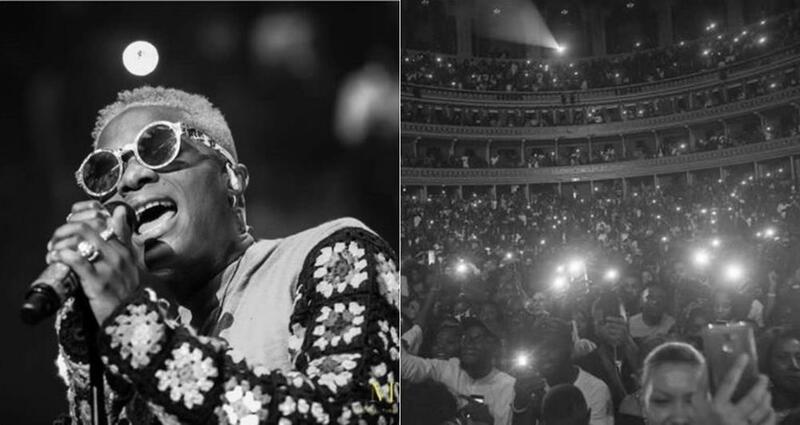 Wizkid’s show which was staged in one of the UK’s most iconic venues, the Royal Albert Hall in London was the first sold out concert by an African artist. The show which took place yesterday September 29th was broadcasted live via Wizkid’s Facebook page so his worldwide fans could also get a piece of the action. Tickets were even sold out two days before the concert. The ‘Ojuelegba’ crooner joins an illustrous list that includes the likes of the Beatles and many international superstars who have headlined at the Royal Albert Hall in London. British act Yxng Bane and Nigeria’s Wande Coal also performed at the concert.